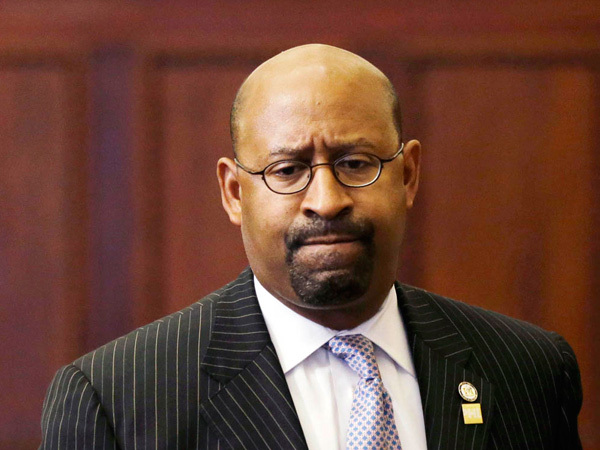 <Could a Lying Philly Cop Get a Job With Another Department? It’s been a rough few days for former mayor Michael Nutter. On Tuesday, the independently-elected Philadelphia City Controller Alan Butkovitz alleged that a subordinate of Nutter’s, City Representative Desiree Peterkin Bell, had operated a “slush fund” after leaving city government – and that some of that money funded Nutter’s own ambitions. This isn’t the first time questions have been raised about Nutter’s finances. Last year, we ran a story on how Nutter’s election campaign committee used donated funds. Much of the committee’s spending was on expensive meals – including $975.23 spent on the same trip to Rome for which Peterkin Bell’s fund spent $51,295. As we wrote that story, Nutter’s campaign committee hired attorney Susan L. Burke just to handle our requests for his campaign records, records required by law to be public. We thought now would be a good time to find out just how much he spent trying to keep the public from seeing the details of his election spending. According to Nutter’s 2015 annual campaign finance filing, his committee paid $5,000 to Burke on February 18th, 2015. The day before, The Declaration had informed the Philadelphia Elections Board that the committee was ignoring its legal obligations to disclose records. Burke contacted us shortly thereafter, on March 1st, to inform us that she had been retained by Nutter’s campaign. In a final twist, Burke may not have even been allowed to advise Nutter on Pennsylvania law at the time. The Pennsylvania Disciplinary Board, which oversees attorneys in the state, listed her as “retired” in 2015, though she is an active attorney in other states. According to the Disciplinary Board, attorneys listed as retired cannot practice law in Pennsylvania.